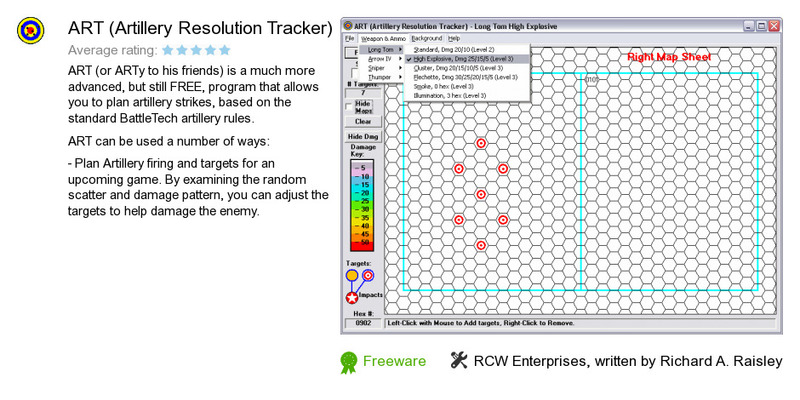 ART (Artillery Resolution Tracker) is a program developed by RCW Enterprises, written by Richard A. Raisley. We know of version 2.0. Version 2.0 is available for free download at our site. ART (Artillery Resolution Tracker) distributive has a size of 7,217,753 bytes.